Little, Brown and Company, 9780316250818, 400pp. The world Cal and Frida have always known is gone, and they've left the crumbling city of Los Angeles far behind them. They now live in a shack in the wilderness, working side-by-side to make their days tolerable in the face of hardship and isolation. Mourning a past they can't reclaim, they seek solace in each other. But the tentative existence they've built for themselves is thrown into doubt when Frida finds out she's pregnant. 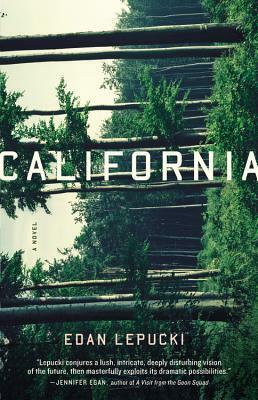 A gripping and provocative debut novel by a stunning new talent, California imagines a frighteningly realistic near future, in which clashes between mankind's dark nature and deep-seated resilience force us to question how far we will go to protect the ones we love. Edan Lepucki is a graduate of the Iowa Writers' Workshop and a staff writer for The Millions. Her short fiction has been published in McSweeney's and Narrative magazine, among other publications, and she is the founder and director of Writing Workshops Los Angeles. This is her first novel.